Bella Hadid is seen backstage ahead of the Alberta Ferretti show at Milan Fashion Week Autumn/Winter 2019/20 on February 20, 2019 in Milan, Italy. 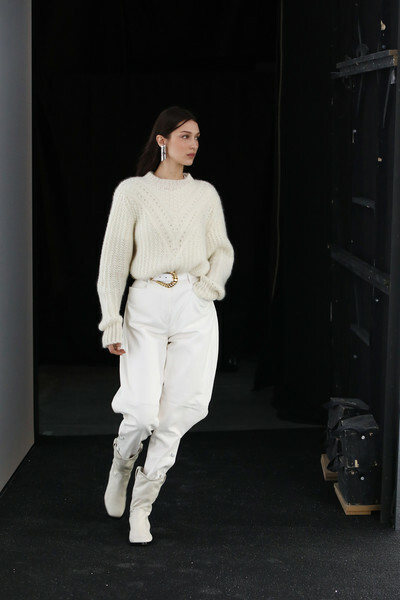 A pair of mid-calf boots completed Bella Hadid's all-white attire. Bella Hadid was spotted backstage at the Alberta Ferretti show wearing a cozy white crewneck sweater. Bella Hadid tucked her sweater into a pair of baggy slacks.